The air is getting super crisp here in NorCal. We’re bundling up, sipping tea, and enjoying the drama changing leaves, which is a certain kind of excitement I rarely experienced as a kid in Los Angeles. 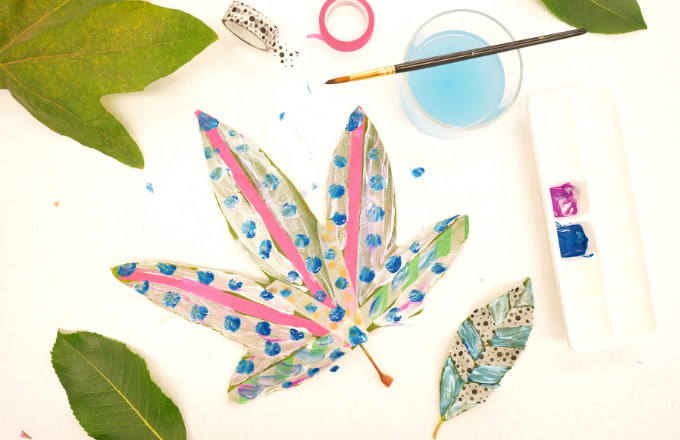 To get into the season, we’re sharing a favorite invitation to create, using leaves as the source of inspiration. 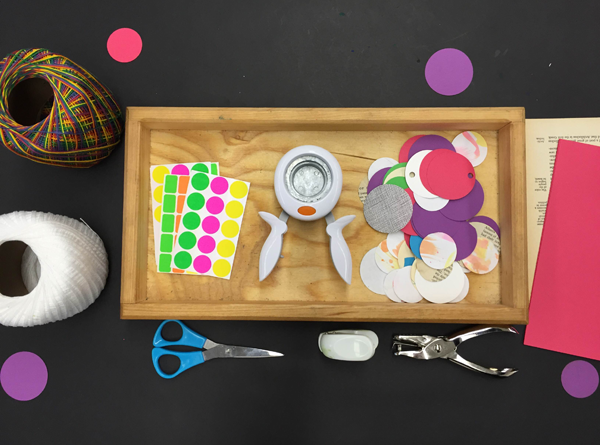 If you’re new to this, an invitation to create is a thoughtfully arranged provocation to make something from a set up of provided materials. 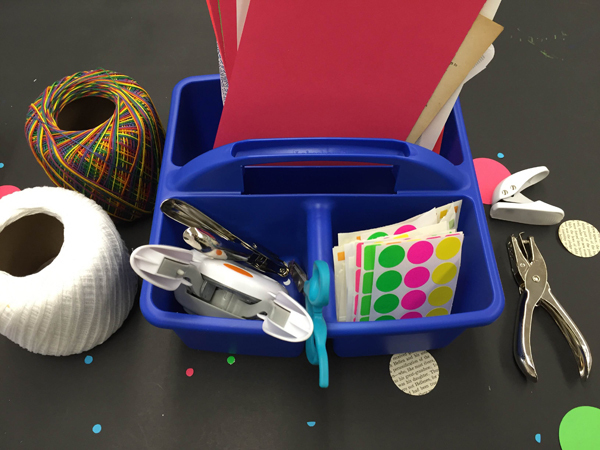 One person sets up an inviting selection of materials, and another person makes something from these supplies. The materials and the set up act as the main source of inspiration and the creation process could evolve into a number of different outcomes. There’s no right or wrong way about it. 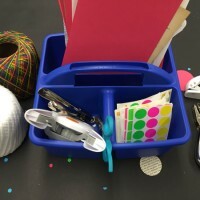 While the person who sets the supplies up may have an idea about how the other person will use the materials, the final outcome is totally unpredictable and creative. 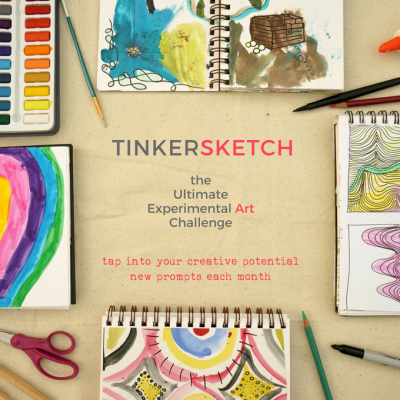 Here at TinkerLab, we call these ArtStarters! 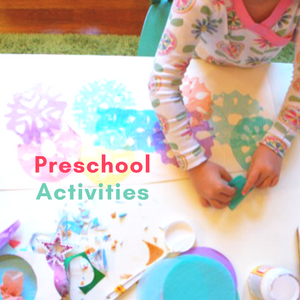 This creative set up shows kids think outside the box while using materials other than paper as painting surfaces and helps connect children with nature. Affiliate links to recommended brands below. Poster Paint. We love Colorations brand. Scissors. Fiskars is the best. Paint brushes. I love this Crayola set of round brushes. 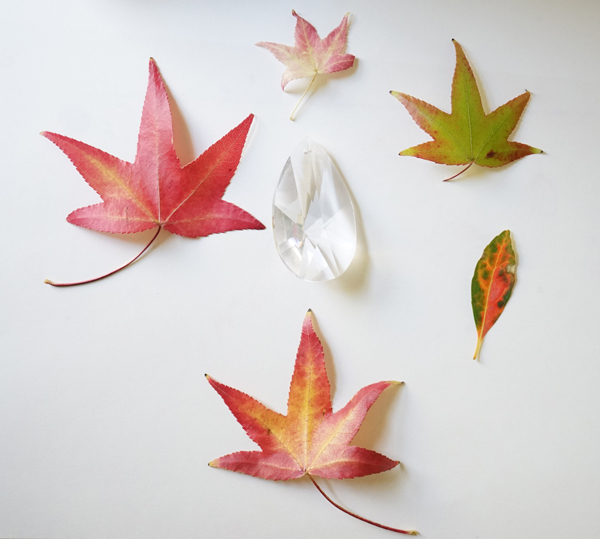 The first thing you’ll want to do is go on a walk to collect leaves. Fresh leaves are best for this project because tape has a hard time sticking to dried leaves. 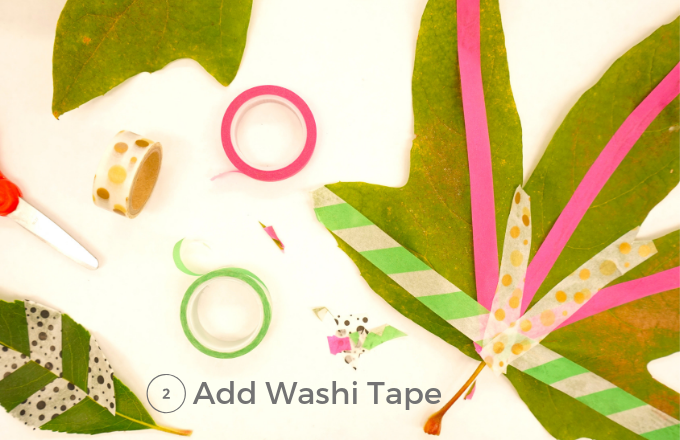 Next, set up a selection of tape and scissors and invite your child to add tape to the leaves. It’s always more fun when we get to play, so you you can join in, too! Why should kids have all the fun? 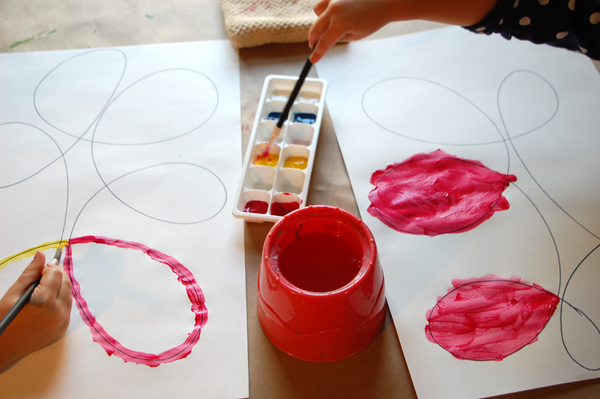 Then, set up paint brushes, a water jar, and an ice cube tray filled with poster paint. 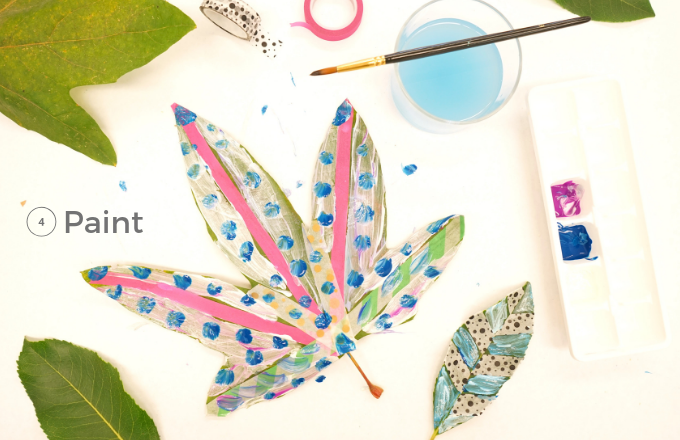 Invite your child to paint. Have fun painting. Mix colors together, make patterns, blend paint. There’s no wrong way about it. 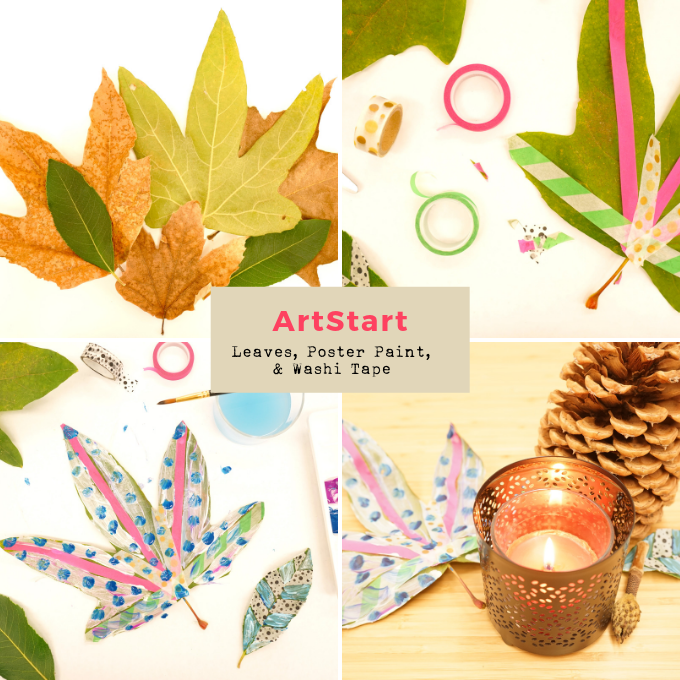 When the paint is dry, you can add these leaves to your table, weave them into a centerpiece, or hang them on the wall. 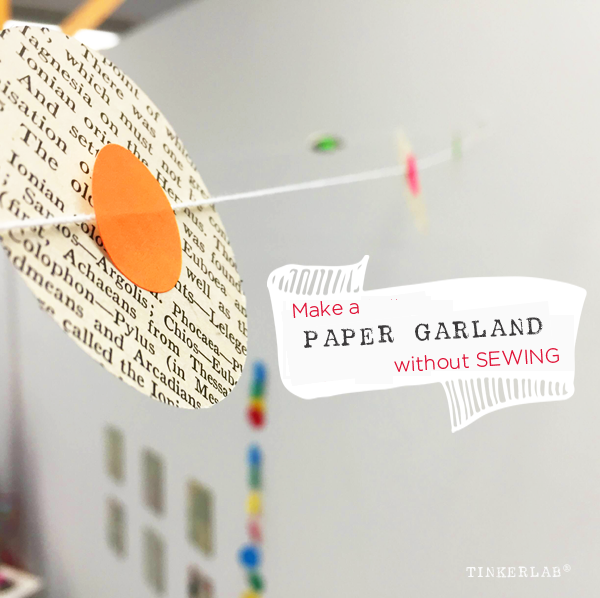 This fall craft idea is also a simple creative invitation that doesn’t require a lot of fancy tools and won’t come with a big mess. 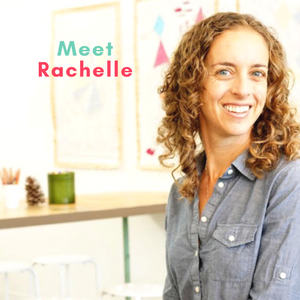 If you’re new to the idea of creative invitations, this article has all the details you’ll need to get started. My 4-year old and I took a bike ride and she chose this selection of leaves. We arranged them on the table and she added a crystal. Because, you know, it looks better that way. We marveled at all the colors in the leaves and then I invited her to draw them. We used Lyra Ferby colored pencils (affiliate link) for the task. I love these crayon/pencils for little kids because they’re a bit fatter than standard colored pencils (with a 6.25 mm lead core), and they come with a triangle grip that makes them easy to hold. My daughter still insists on holding her pencil with her pinky and seems quite comfortable with this grip. And I’m still working on helping her shift to a better grip! If this is something that your child struggles with, this post has some great tips in the comments. 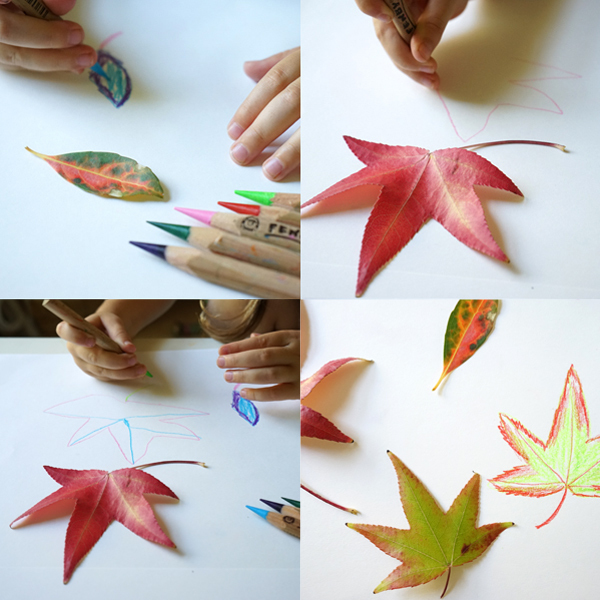 Set up a large sheet of drawing paper, scatter a few leaves around, and place freshly sharpened colored pencils on the table. 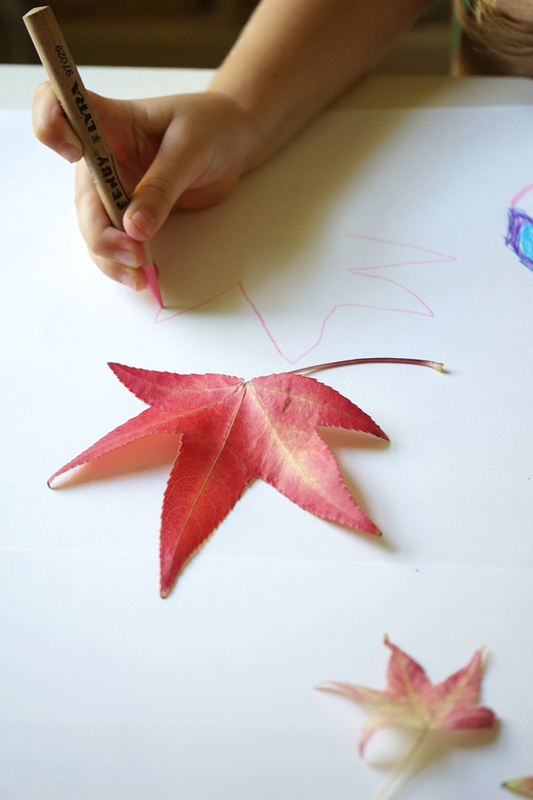 Invite your child to look closely at the leaves and notice the variety of colors and shapes, and then discuss what you see. Do any of the colors surprise you? How many points does this leaf have? Let’s count them together. Which of these leaves could have come from the same tree? 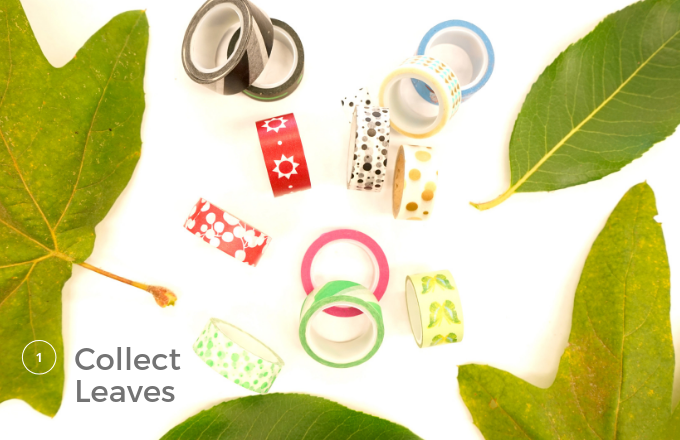 Do you have a favorite leaf in this collection? What makes it your favorite? 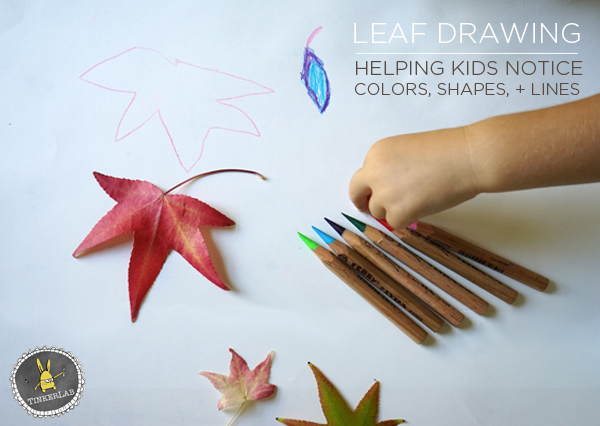 I sat across the table from my daughter and we drew leaves together. 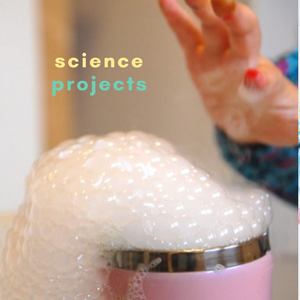 I always encourage my kids to experiment, and one way to do that is by modeling. As I colored my leaves in I layered one color on top of another. I noted that the red blended into green on one of the leaves, and tried to replicate that in my sketch. My 4-year old payed attention to that and then pushed it one step further as she colored one of her leaves blue and purple, and gave another blue veins…because she liked the way it looked. Rock on! If you child goes for the unexpected, encourage him or her to go for it. The goal is to use the leaves as a starting point, and then layer that with interpretation and imagination. 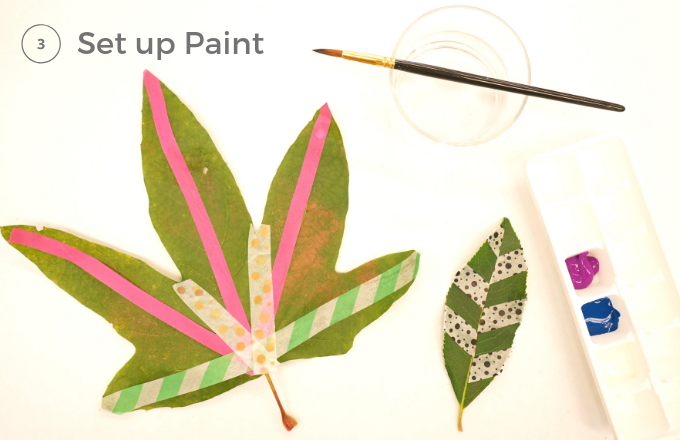 Make adorable Leaf Critters by painting directly on leaves with acrylic paint. Today we’re setting up a creative invitation that takes minutes to put together, and clean up is a snap. 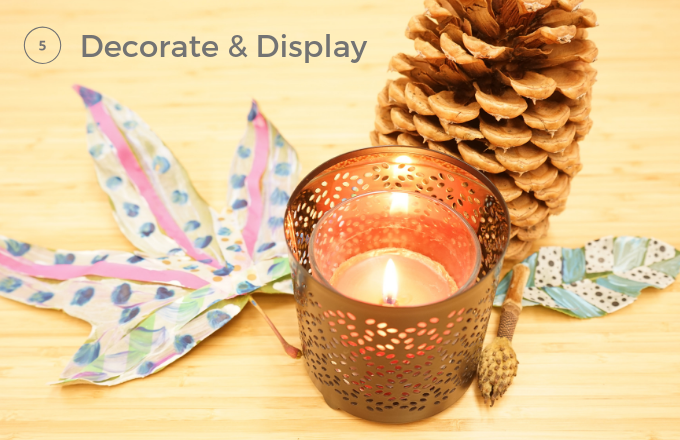 To get started, you could set up your invitation the night before as I did, or take a few moments to arrange it while your child is playing or napping. Or you could include your child in the set-up. Place all the materials out on the table. 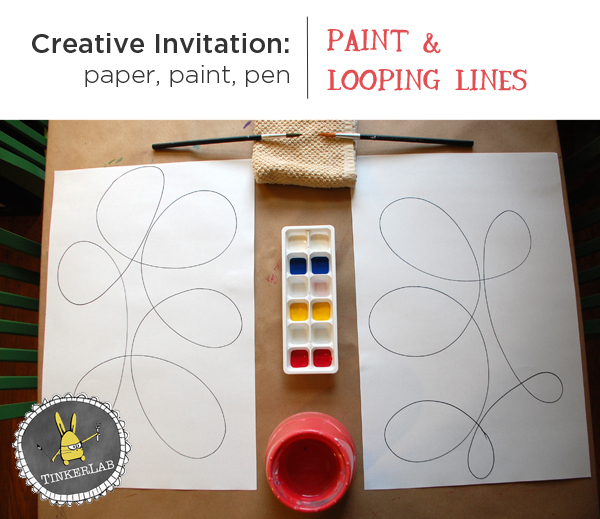 With a permanent marker, draw some basic shapes or looping lines on the paper. 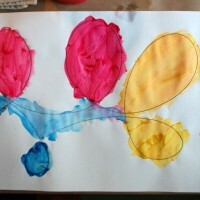 Invite your child to paint however he or she likes. You can see that my three-year old and five-year old had completely different approaches and ideas about how to tackle the paper. I love that! 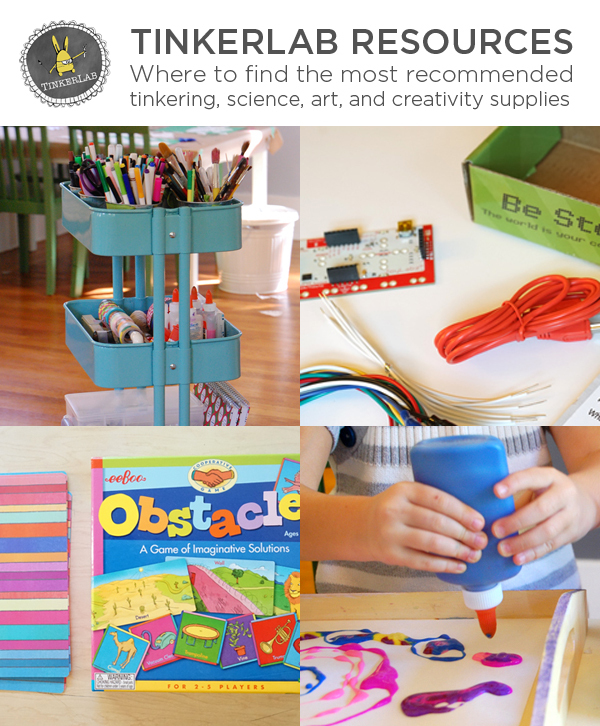 The goal isn’t to create anything in particular but to encourage your child to be inventive and use the parameters of the set-up as inspiration. My three-year old’s creation on the left and my five-year old’s creation on the right: one painted inside the lines and the other right over the lines. Cool! Leave the papers on the table to dry or move them to a drying area. Carry the brushes and water container to the sink. Voila! 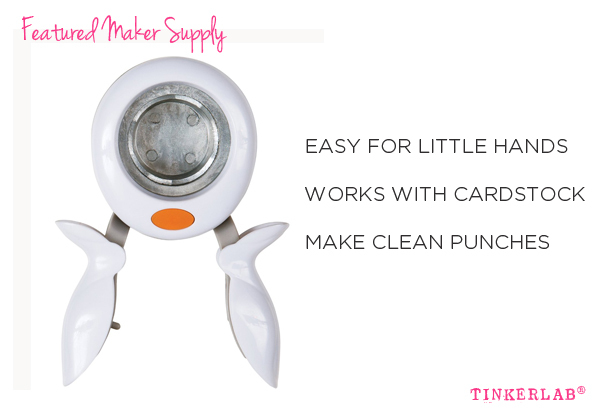 We love coming up with ways to make your life simpler and more creative, and creative invitations are one of our favorite ways to do that. If you enjoyed this post you might also want to check out Tape Art, Sticker Composition with Frames, Washi Tape and Found Paper Collage. 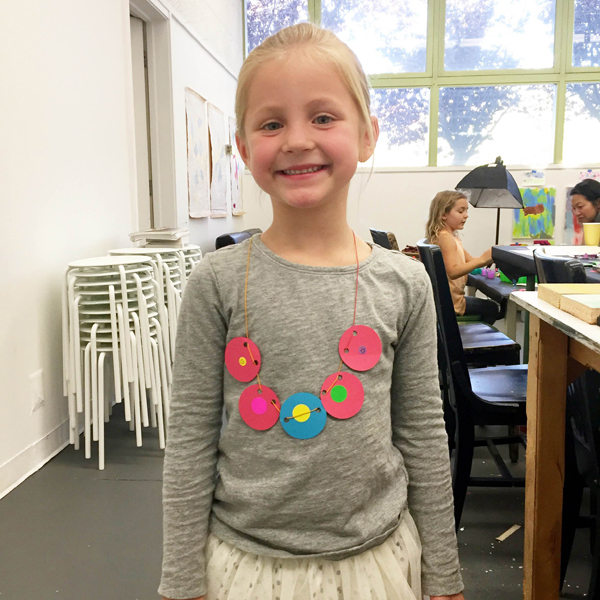 Tinkerlab plays host to a really fun Instagram hashtag: #creativetable. 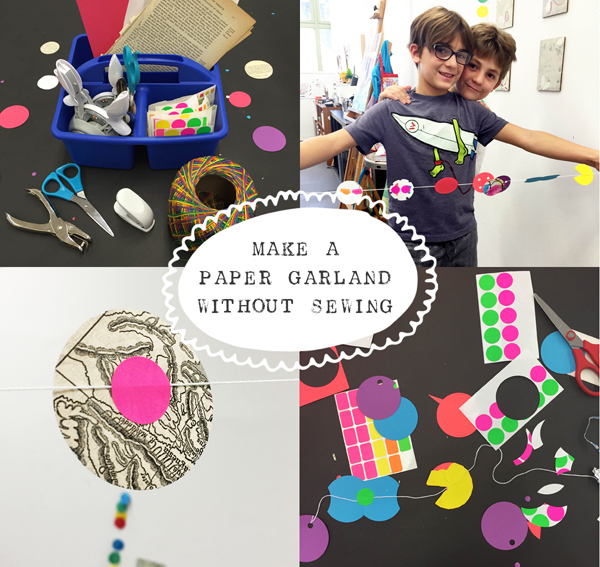 For more creative invitations, pop over to Instagram and search for more ideas from creative parents and artists. 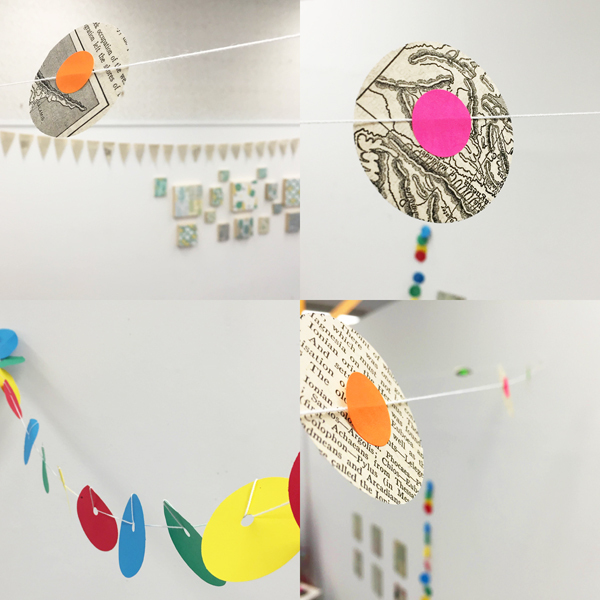 Also, our friends at The Art Pantry are hosting an Invitations to Create Challenge this month (October), and you can find out more about it here.